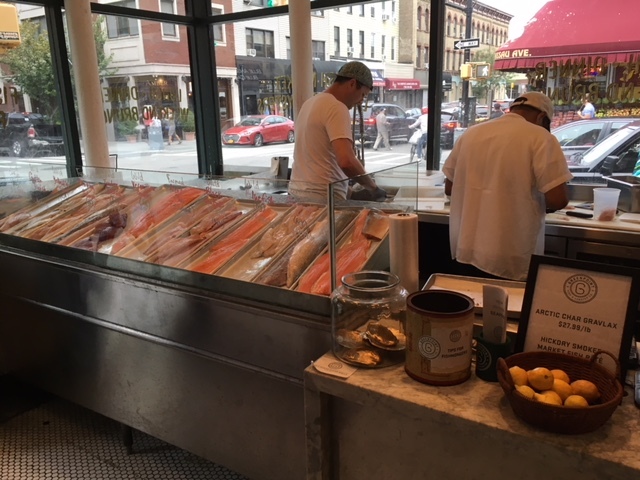 Lynn and I got to Greenpoint Fish and Lobster Company in Brooklyn and were dazzled by the great seafood and warm ambiance. We enjoyed the Baja Fish Tacos which were particularly unique thanks to the citrus cabbage slaw. 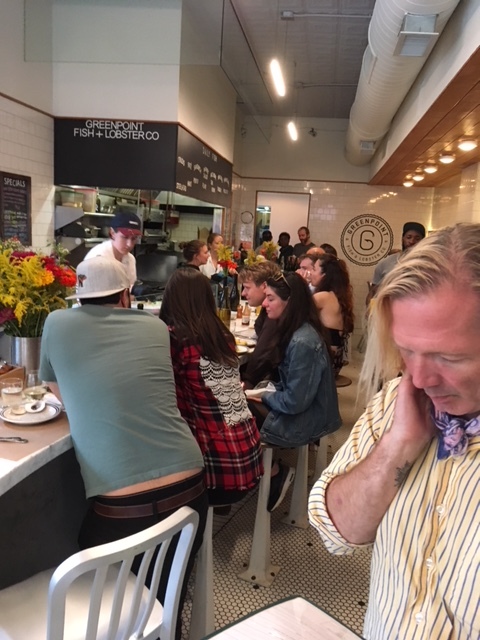 Besides being a restaurant, GPF&L is also a first class fish market with the usual offerings of Flounder and Striped Bass but also has exotica such as Rabbitfish, Dogfish and Sea Robins. They also carry in house smoked fish, gravlax and caviar. GPF&L puts an emphasis on locally sourced and sustainable seafood being mindful of where the finfiish and shellfish originate.